Skype Operations Framework (SOF) is a comprehensive guide and toolset for implementing and managing a reliable, cost-effective communications service based on Skype for Business. 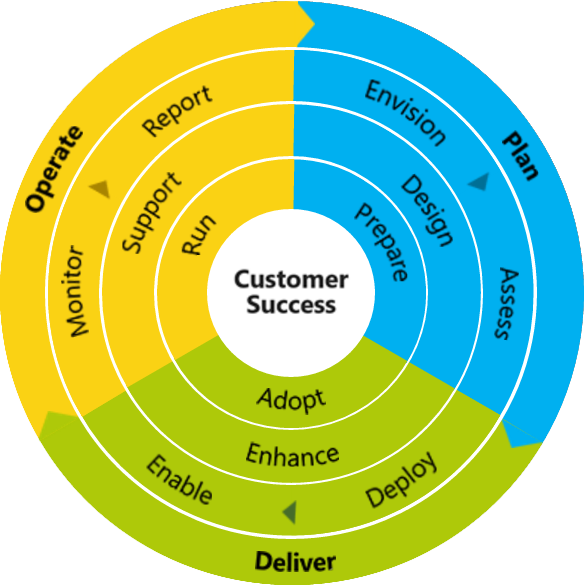 It covers the entire customer lifecycle, including planning, delivery, adoption, operations and migrations. It is a multi-faceted approach to the successful deployment of and migration to Skype for Business Online, incorporating four key elements that have customer success firmly at the center. MultiUx Cloud Voice is the fabbricadigitale’s offer. Cloud Voice is a complete service for the in/out telephone functions launch, dedicated to companies that have or will adopt the Microsoft Office 365 online services. The solution includes study, analysis, planning, implementation, and adoption phases, from the migration to the service management, in addition to several extra services, if required. Three plans are available for satisfying the customers’ needs. Planning and implementation phases follow the SOF program guidelines. Please, enter your e-mail address here below, we will send you the MultiUx Cloud Voice information. fabbricadigitale, Microsoft partner, is specialized in planning and realization of the UC platforms based on Exchange e Skype for Business. The experience grown up in years of enterprise projects guarantees competence and efficiency on all the process aspects. Activities are dedicated to on premises, Cloud and Office 365 or third parties hybrid solutions, following the SOF program guidelines. fabbricadigitale provides services for the Microsoft Office 365 services adoption, from migration to the hybrid solutions implementation. The experience in UC represents an important value combined with the Cloud offering flexibility. Activities follow the SOF program guidelines. fabbricadigitale has worked for years with Service Providers in planning, implementation, maintenance, and evolution of the Unified Communications services in Cloud. Our specialized knowledge of the ISP partners’ needs allows us to guarantee a 360-degree support. In addition to services, the MultiUx governance software are distinguished elements. How can I get info? Fill the form and we contact you back.